"Big things are happening secretly all around," says Jack London's prescient hero Ernest Everhard in the 1908 novel The Iron Heel, excerpted in this timely anthology of London's writings about war and revolution. 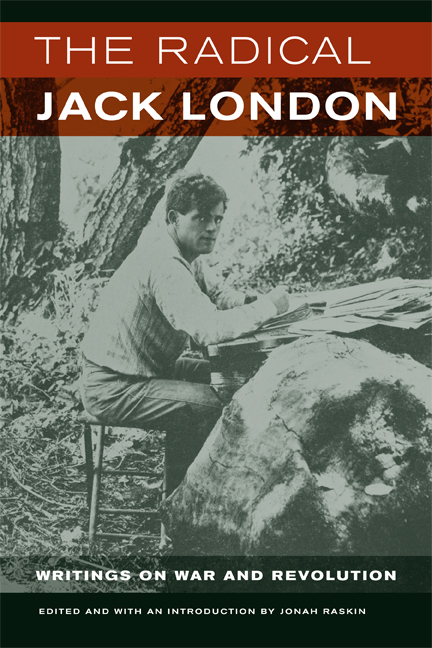 Besides illuminating his surprising literary range, The Radical Jack London establishes the iconic American author as both a product of his own era and a significant voice for ours. The book features works by London that have been unavailable for decades. In his insightful introduction, editor Jonah Raskin lays out the social, economic, and political contexts for London's polemical writings and shows London to be America's leading revolutionary writer at the turn of the twentieth century. Jack London (1876-1916) was the author of The Call of the Wild (1903), The Sea-Wolf (1904), and the prophetic novel The Iron Heel (1908), among some fifty books. Jonah Raskin is Chair of Communications at Sonoma State University and produces the website radicaljacklondon.com. What Shall Be Done with !is Boy?